For medical malpractice insurance companies in NYC, Acadia Pro is your trusted source for information relating to the professional liability insurance industry. Here’s our list of the best medical malpractice insurance companies for healthcare practices, physicians, and doctors in New York City. Princeton Insurance is New Jersey’s leading healthcare liability insurer, continuously protecting the assets and reputations of the New Jersey healthcare community since 1976. For more than 30 years, PRI has been a stable and innovative market leader for doctors and health care facilities in New York State. More than 40 years ago, a group of physicians in Northern California — faced with a crisis in the liability insurance industry that threatened their practices — banded together to start a new policyholder-owned and physician-directed insurance company for the betterment of their fellow physicians. MLMIC is the largest writer of medical professional liability insurance in the State of New York, insuring nearly 14,000 physicians, 4,000 dentists and dozens of hospitals. As the nation’s first provider of healthcare liability insurance, MedPro Group has protected the assets and reputations of the healthcare community since 1899. Coverys is an innovative medical professional liability insurance and services provider dedicated to helping its policyholders and clients anticipate, identify and manage risk to reduce errors, eliminate inefficiency and improve outcomes. Conventus Inter-Insurance Exchange (“Conventus”) protects and serves the best interests of New Jersey’s independent physician practices. A leading provider of medical professional liability insurance, MDAdvantage was built by physicians…for physicians. We provide a range of services to practitioners in the MDAdvantage service area, each designed to meet the unique needs of their practice. 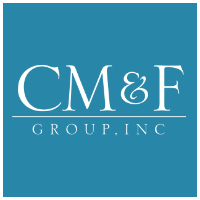 Since our founding in 1919, CM&F has taken pride in providing comprehensive and secure insurance solutions for all of our customers.